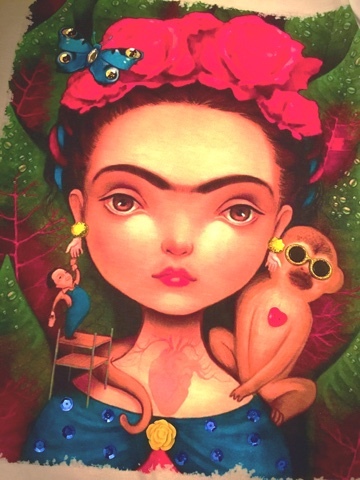 Undoubtedly Frida Kahlo is one of my favorite artists. Her life and courage along with her passion for art amazes me. She is one of the most recognized Mexican artists, of which I take pride in, given my heritage. 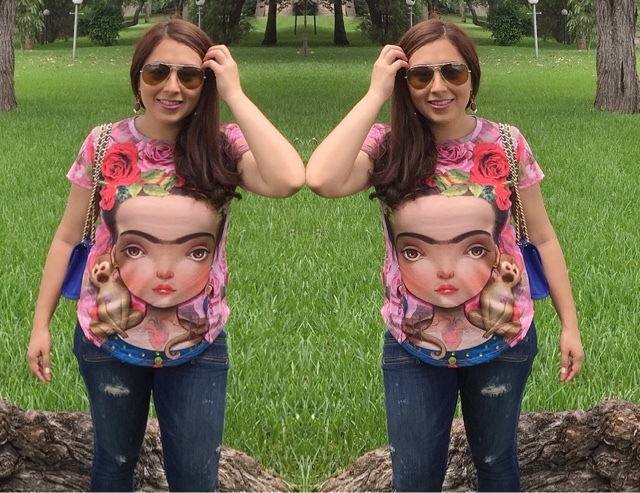 Not too long ago my sister-in-law gifted me a extremely cute Frida Kahlo t-shirt! 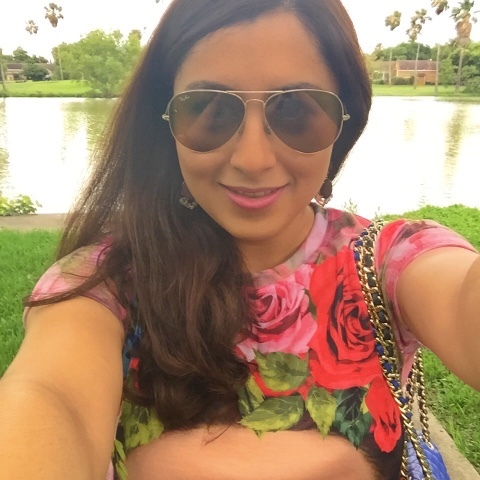 She embellished it by adding gems and sequins, which made it look even more appealing. I fell in love with it! It's very colorful and perfect for summer. 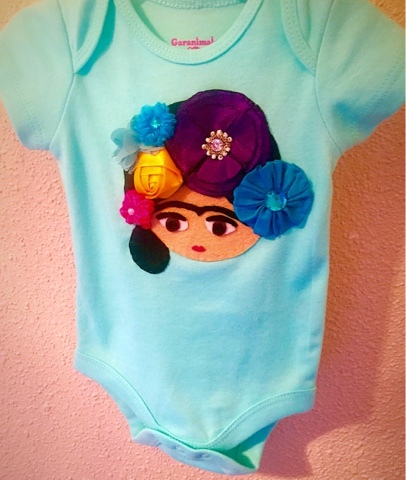 She also makes adorable t-shirts, dresses and onesies for little girls, they are the cutest! Well, the good news is that you can have one too! Her prices range from $25-$30 (plus shipping). What a steal! 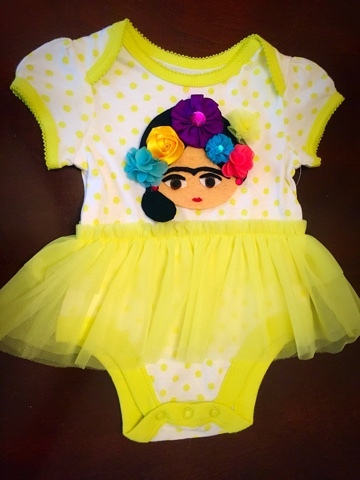 If you are interest please send her an email to cocoaortiz@gmail.com with subject: Frida Kahlo Collection. Here are some items from her collection. 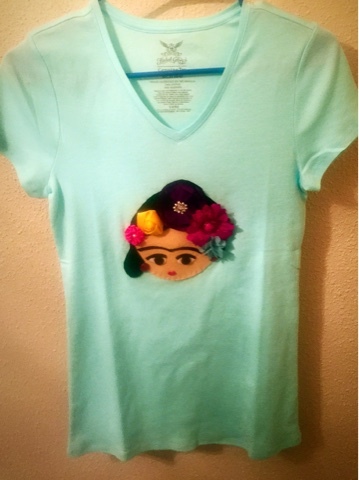 Embellished T-Shirt before and after. These are handmade by Anna.This is the Baby Collection. I love them, they are absolutely gorgeous.